In terms of sheer monetary scope, it is estimated that it takes around $1,200 to clear out a single landmine. This cost factor is obviously amplified by other crucial considerations, including the decisive safety aspect of a landmine clearing operation. However, back in 2012, an Afghan designer named Massoud Hassani had ingeniously furnished an alternate version of a ‘minesweeper’, and it entailed a simple ball-like conception with bamboo spikes. The fascinating part was – this ‘autonomously’ safe design being inspired by a traditional toy, was envisioned to be only powered by wind. And when translated to a monetary ambit, the overall cost of manufacturing one of these Mine Kafon specimens comes to just around $50. 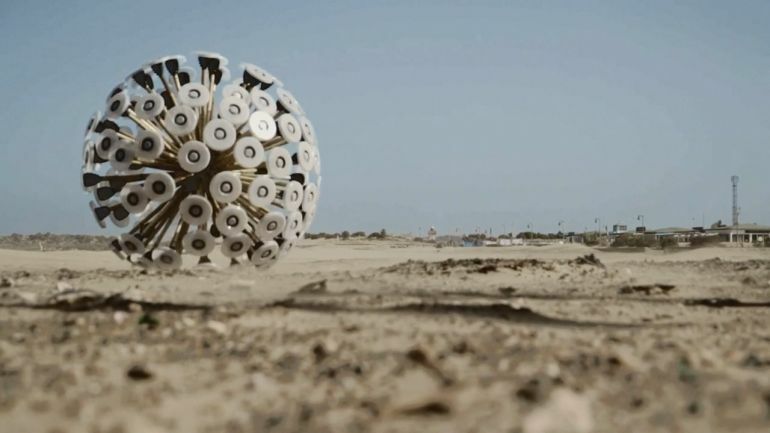 In terms of its simple working scope, the Mine Kafon is expected to lose each of its bamboo spikes when detonating a mine. The contraption is further integrated with GPS that would automatically track the landmines, and thus map a safe course that can be processed on a connected computer. Now of course, in a practical scenario, there are other parameters that could significantly hamper the progress of a Mine Kafon – with changing (and uncontrollable) wind conditions being one of the major issues (this article does a pretty good job of portraying the statistical estimation of success that such a device can achieve). 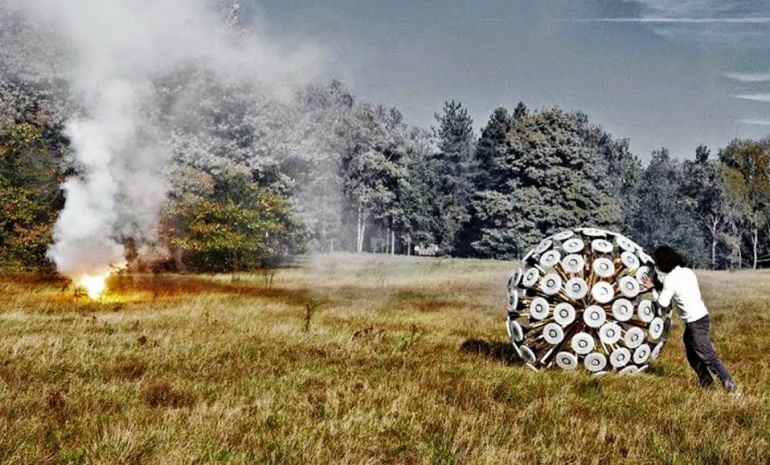 In any case, the Mine Kafon still might justify its core design, since it can be possibly used to test the presence of mines in a particular area. Furthermore, one can’t also overlook the aesthetic appeal of this low-cost minesweeper – that even led to it being showcased in Callum Cooper’s short film with the eponymous title of Mine Kafon. As for the design itself, the ‘conscientious’ mechanism has won numerous design awards over the year’s and even went through a successful Kickstarter campaign that raised over £119,456 (around $190,000).